Care about art? Community? Inclusivity? Youth? You'll love our new members. The Sackville Commons Co-op just signed new tenants- The Sackville Art Hive. They're doing a launch event for Bordertown Festival here at The Commons, and are moving in today! Founded by Shoshanna Wingate & Susie Vokey, and supported by Daybreak Activity Centre, we're really thrilled to see the future of the space & organization unfold. Join us for the Art Hive launch event on May 7th, 9am-4pm. Come down to the Sackville Commons and try your hand at painting, drawing, needle felting, sewing, and collage. We'll offer art stations to spark your creativity, but what you make is up to you. It's about play. No judgement, no formal activities. You are encouraged to do what makes you happy. We welcome everyone from toddlers to senoirs. An art hive is a community art studio that welcomes everyone as an artist. Also known as “public homeplaces,” these third spaces create multiple opportunities for dialogue, skill sharing, and art making backgrounds, ages, cultures and abilities. 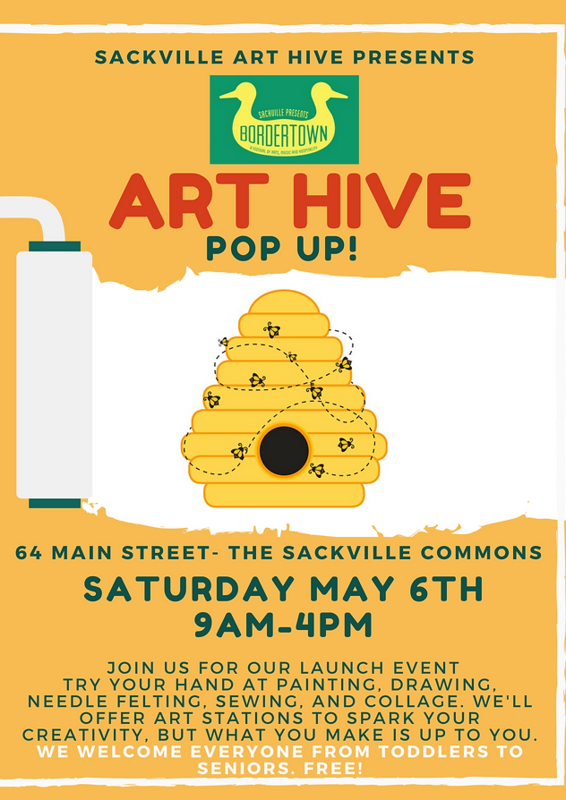 And stay tuned for more Sackville Art Hive Pop Ups throughout the summer. Please check out their wishlist below if you have supplies you want to donate!